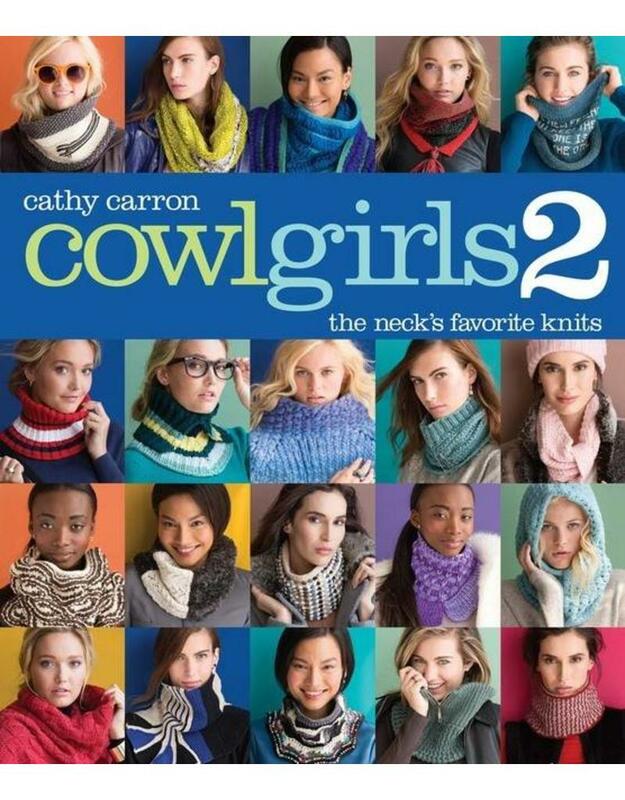 SP Cowl Girls 2 - Crochet Stores Inc. The cowl is back! Bestselling author Cathy Carron once again gives the cowl her visionary treatment. Showcasing 35 fresh designs, this book offers an impressive range of styles, from Café au Lait, where two contrasting colors combine with a ripple pattern, to the sleek, double-faced Sun Valley. Beautiful colorwork, beading, shaping, cables, textures, embellishments, and more will catch the eye and hearts of every knitter and fashionista. Cathy Carron is a well-known and highly respected knitwear designer and author of six books, including Hattitude (Sixth&Spring) and Hip Knit Hats (Lark). Her designs have appeared in popular knitting magazines including Vogue Knitting, Knit. 1, Knit Simple, Interweave, and knitscene. Her popular blog, knitcliks.com, is known for its daily content that pushes the knitting craft forward in fashionable and modern ways.